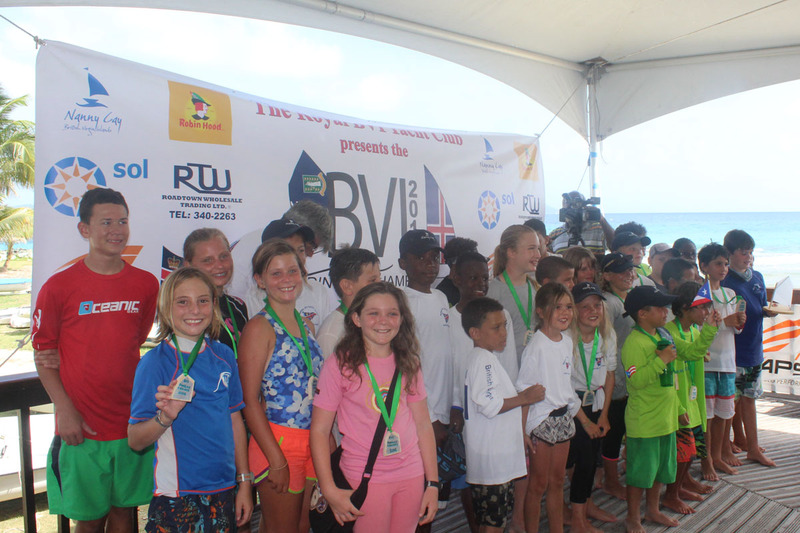 The 15th edition of the BVI Dinghy Championships wrapped up on Sunday with seven new champions crowned. The 85 competitors from the BVI, St Thomas, St Croix and Puerto Rico were treated to a stunning weekend of sailing out on the Sir Francis Drake channel with fantastic hospitality and entertainment at Nanny Cay. The seven classes were split across two race course areas with nearly 50 races completed through the weekend. Fresh winds from the south east gave the competitors some challenging sailing conditions and, for some, an unexpectedly thorough work out! The hottest competition came in the Optimist fleet where the BVI's Rayne Duff exchanged the lead with Mia Nicolosi (ISV) throughout the weekend. First and second in every race went to one of these two sailors but is was disappointment for local sailor Duff that Nicolosi pipped him to the title by just one point with six bullets to his five and retained her title. The battle for third was equally tight with one point separating Mathieu Dale (ISV) from Julian van den Driessche (ISV). Second overall for Duff gave him the red fleet honours with Nicolosi claiming the blue fleet and Max van den Driessche (ISV) winning the white fleet title. The Optimist Green fleet was the biggest seen at this championship with 30 sailors lining up. For some this was their first racing experience but with 15 races now under their belts on a very busy race course they have gained invaluable knowledge to take home and to the next event. Tanner Krygsveld (ISV) was the most consistent sailor finishing with 36 points. Behind him, just three points separated second to fourth place with the final order being Andy Yu (ISV), Jose Guillemo Diaz (PUR) and Samuel Allen (IVB). 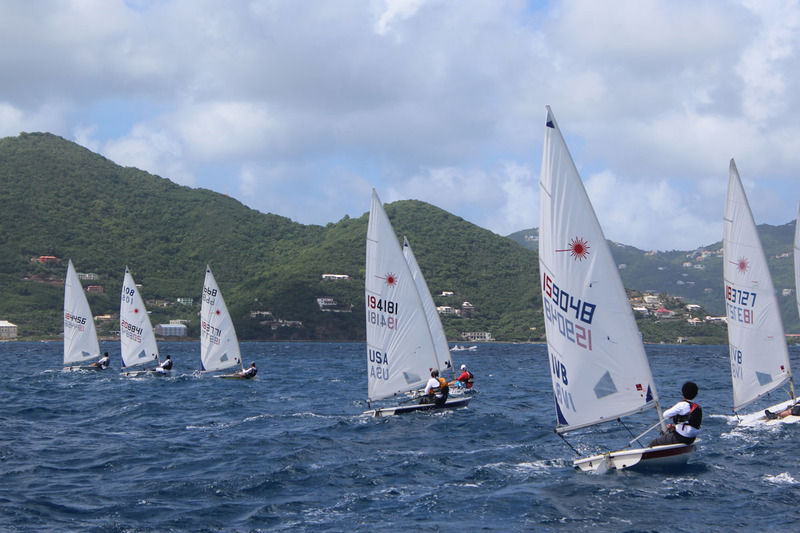 Three BVI sailors raced in the Open Bic event on the same course area as the Optimist Green Fleet. Nicholas Haycraft was the overall victor ahead of Isaac Sutherland-Pilch and Felix Thorp. Haycraft was also award the 2016 Sportsmanship Trophy for his support throughout the weekend towards his fellow Bic competitors as well as sailors across the other fleets. 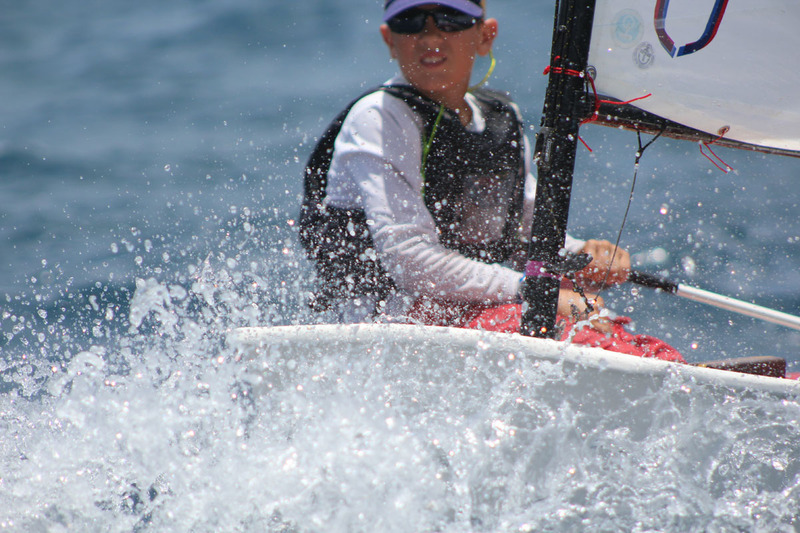 In the Laser class, Danny Petrovic (IVB) posted an almost clean sweep of bullets with the exception of a DNF in race 4, proving that youth can win out over experience. Mark van de Driessche (ISV) took second overall from defending champion Colin Rathbun (IVB). Rising star Thad Lettsome (IVB) finished in second place to Sam Morrell (IVB) in the first race of the championship but from that point forward was unbeatable across the 10 race series. At just 14 years of age, Lettsome is one to watch for the future. Morrell rounded out the championship in second place with Ethan Hanley from St Croix finishing third overall. Taylor Hasson (ISV) celebrated his birthday yesterday with the Laser 4.7 trophy. Four IC24s sailed a six race series on Saturday and it was Ted Reshetiloff skippering Intac who dominated the score board, taking the bullet in every race. Eddie Brockbank on Black Pearl and Bob Phillips on Roosta traded second and third place throughout the day with Brockbank coming out on top and finishing second overall. Giles Wood with Latitude 18 finished in fourth place. As well as event honours, the Optimist Championship fleet were also battling for the 2016 Triple Crown title. 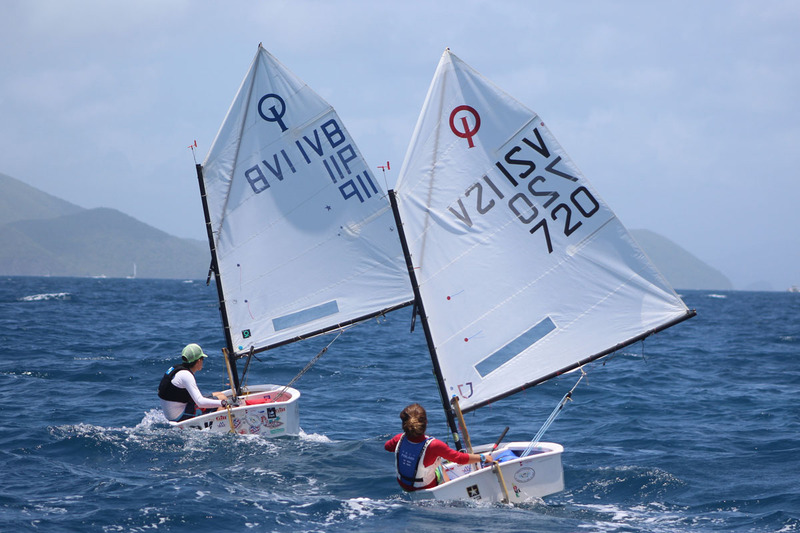 The BVI Dinghy Championships is the final regatta in the series which also includes the results from the VIODA Championship in St Thomas and the Cruzan Open in St Croix. Mia Nicolosi (St Thomas) was the overall winner with 2015 champion Rayne Duff (IVB) having to settle for second place this year. Mathieu Dale from St Croix took third. Thank you to all of the sailors, coaches and parents who enabled the competitors to have such a fantastic weekend but most of all thank you all of the volunteers for giving up their their time, without them it would not be possible. Thank you to our event partners – Nanny Cay Hotel and Marina, Sol Petroleum, Road Town Wholesale, Robin Hood Flour, Annapolis Performance Sailing, BVI Tourism, CBN-Radio 92.3FM (Tradewinds Virgin Islands) and CBN-Radio 90.9FM (the Caribbean Superstation Virgin Islands). Stay tuned to our Facebook Page www.facebook.com/TheRoyalBVIYachtClub/ and Twitter @royalbviyc for regular updates and news from The Royal BVI Yacht Club. The next event on the BVI racing calendar is the Lowell Wheatley Anegada Pursuit Race on Saturday 25 June.